The City of Orlando Fire Station No. 1, located at 19 North Main Street (present-day Magnolia Avenue) in Downtown Orlando, Florida. In 1883, after a dressmaking store in Orlando caught fire, William C. Sherman, a previous member of the Boston Fire Department, set up a volunteer fire force. Sherman served as its first Fire Chief and the organization also included Ben Bartlett, Tom Mann, J. Walter Hosier, J. W. Gettier, and Macy. The team used a hose, hose reel, bucket brigade, and a painter's ladder to extinguish fires. By 1885, due to the growing population, there were three volunteer fire groups, but they were consolidated into one under the name Orlando Hook and Ladder Company No. 1. The name Orlando Fire Department was adopted in 1890 and all other volunteer groups that had been created were incorporated into one group. In 1896, Orlando's first town hall building was constructed and included a 30-foot bell tower, which was used to alert the town of a fire. If someone were to discover a fire, he or she would ring the bell until the volunteer forces arrived. This was known as Firehouse No. 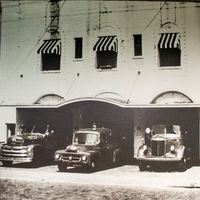 1, but on March 25, 1919, the firehouse moved from its original location on Oak Street (present-day Wall Street) to a new location at 19 North Main Street. The new station cost $17,708 to construct and the old station was abandoned. In 1923, the Orlando Fire Department officially became a fully-paid department. From 1925 onward, more firehouse stations were built around the city to better serve the community with quick responses to fires. 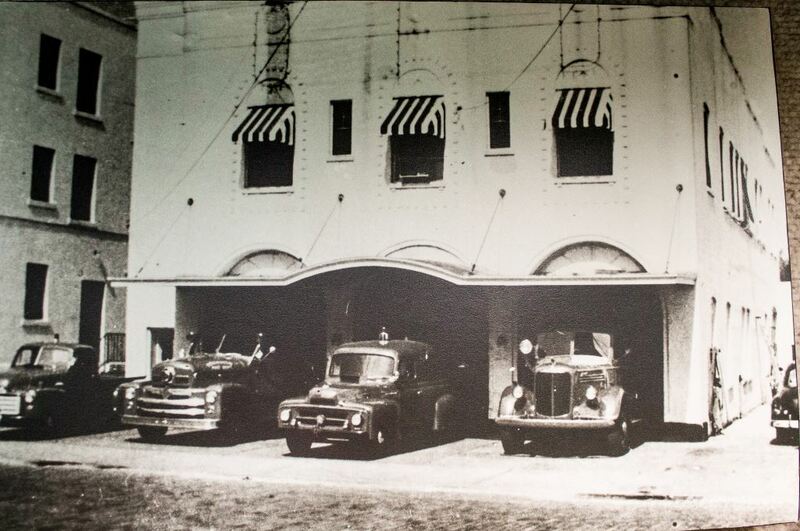 In 1960, Firehouse No. 1 moved to 439 South Magnolia Street, and moved again in 2009 to its current location at 78 West Central Boulevard. The new building would be the three lower floors of a nine-story high-rise and would serve as the new headquarters for the Orlando Fire Department. The new fire station opened on December 2, 2009. Original black and white photograph: Orlando Remembered Exhibit, Orlando Public Library, Orlando, Florida. Orlando Public Library Collection, Orlando Remembered Collection, Orlando Collection, Orange County Collection. RICHES of Central Florida. "History." City of Orlando. http://www.cityoforlando.net/fire/history/. "Station 1." City of Orlando. http://www.cityoforlando.net/fire/station-1. “City of Orlando Fire Station No. 1.” RICHES of Central Florida accessed April 25, 2019, https://richesmi.cah.ucf.edu/omeka/items/show/4101.